Location: Fenouillet, in the Pyrenees-Orientales departement of France (Languedoc-Roussillon Region). Ownership / Access: Commune de Fenouillet. Notes: Château vicomtal Saint-Pierre de Fenouillet is the castle of the Vicomte de Fenouillèdes built in the eleventh century. 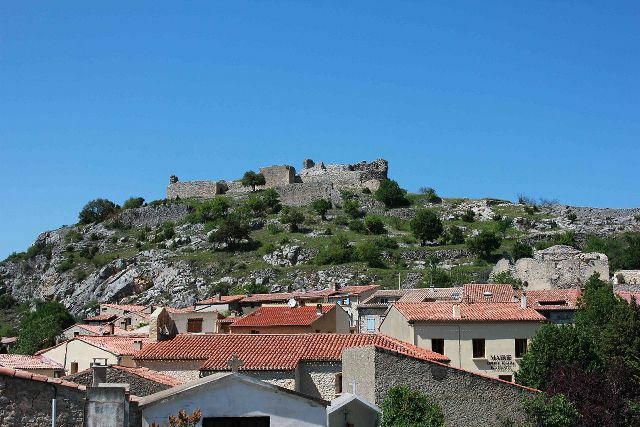 It is located in the town of Fenouillet (Pyrénées-Orientales). It is currently in ruins and is the subject of excavations since 2000.